Turquoise has a lot of myths and miss-information surrounding it which is why we decided to create this information page all about turquoise. In brief 97% of all turquoise sold is stabilised - Due to the decrease of natural turquoise being found in mines across the world it is very rare to see totally natural and 100% untreated turquoise available to buy in beads or cabochons for jewellery making. 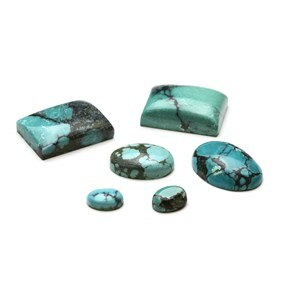 The majority of turquoise available to buy for making jewellery has been stabilised in some way to make it more sturdy and suitable for cutting into beads and cabochons. A lot of turquoise has also had some sort of colour enhancement. On this page we explain the different levels of stabilisation as well as show the different types of Turquoise available on the market . Unfortunately not all suppliers are as honest and unless you can insist on getting it in writing from the seller or ask them to certify that their turquoise is natural you may think you are buying natural turquoise but in fact you have been sold is stabilised. 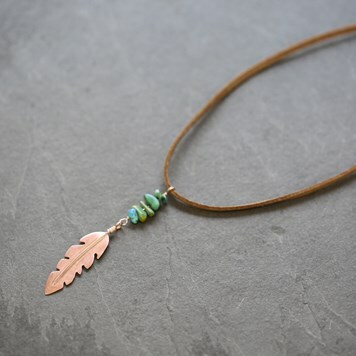 We supply a large range of turquoise here at Kernowcraft, from a collection of 100% natural stones to a range of different beads and cabochons from different origins. It is for this reason we wanted to make clear the different processes of making turquoise accessible for jewellery making. As water moves through porous rock, minerals are dissolved, such as copper, aluminium and iron. 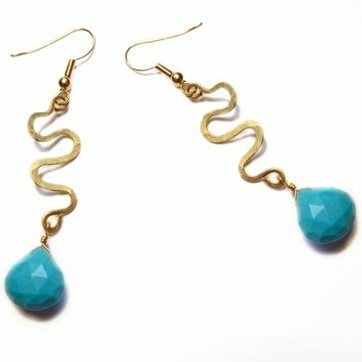 Over a long time, these minerals accumulate in pores and cracks to form deposits of the material we know as turquoise. The colour of the stone varies depending on the amount iron present. The blue shades of turquoise occur when there is presence of copper in the rock where the turquoise forms. The green shades form when there are high concentrations of iron present and the yellow/green shades form when zinc is present. However this yellow/green shade of Turquoise is very rare. Turquoise can also be marked with dark veins that run through it called 'matrix'. Essentially these are the remnants of the rock that ‘hosted’ the Turquoise as if formed from weathering and oxidation processes over millions of years. The matrix can be different colours, depending on the host rock. Black matrix is often favoured due to the contrasting black and blue colours. 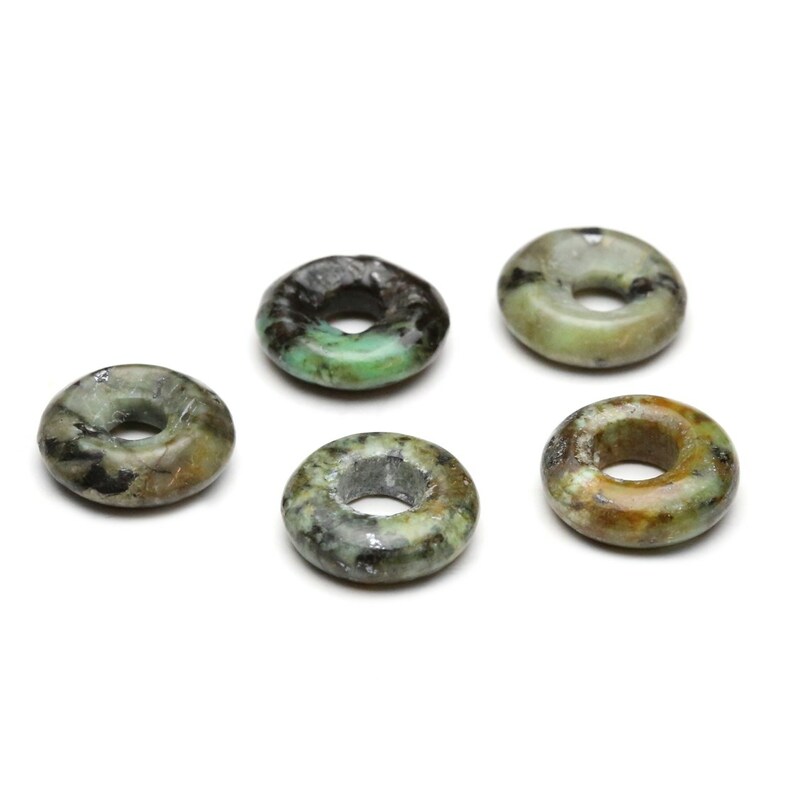 The brown matrix Turquoise is often formed by the iron oxides hematite. Spider web Turquoise is another name for Turquoise Matrix and takes its name from its spider web like patterns of the thin lines of matrix running throughout them. There is a vast variety of different Turquoise - as with many gemstones - this is due to the location in which it was formed and the minerals and host rocks in this location. 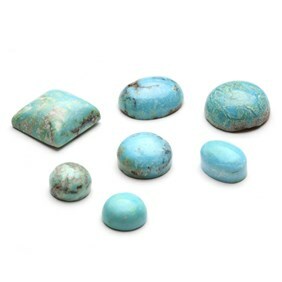 The following different types of Turquoise are an example of the different variations. 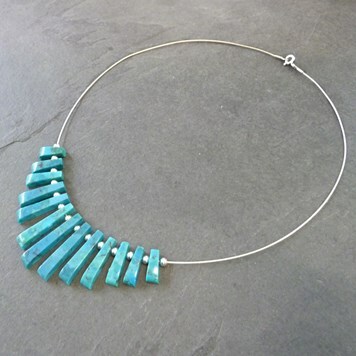 Stabilising is when soft turquoise has been infused with a clear epoxy resin. The resin, under pressure, absorbs into the rock, which permanently hardens the rock and deepens the colour. Unlike natural turquoise which deepens in colour over time by gradually absorbing oils from the skin as it is worn, the colours in stabilised turquoise are permanent. Most of the turquoise on the market is stabilised and should not cost as much as natural. Stabilised turquoise can be very beautiful, and is a good buy. This is soft stabilised turquoise, except that the epoxy resin is coloured. Colours in treated turquoise have a tendency to look artificial. Prices should be much less than natural or stabilised turquoise. As turquoise is getting harder and harder to find it means that the Turquoise mines have been depleted and closed. The turquoise being mined now is of the lower quality and as a result of this the appearance of the turquoise is being enhanced - this type of Turquoise is reconstituted. Reconstituted turquoise "chalk" that is very low grade and has been ground into powder, saturated with epoxy resin, dyed, and compressed into blocks or cakes to be cut into shapes for jewellery making. Prices should be inexpensive. This is stones like Howlite (white stone, very porous) dyed to look like turquoise. Or there is pure plastic (epoxy resin) that has been dyed to look like Turquoise. This is turquoise that has not been treated in any way with dyes, stabilising epoxies, or other chemical treatments intended to alter the colour, hardness or lustre of the stone. 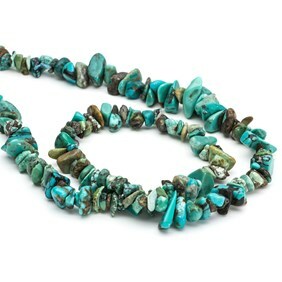 Natural Turquoise cannot easily be found in the marketplace and as little as 3-10% of Turquoise mined is of sufficient hardness to be used in jewellery. 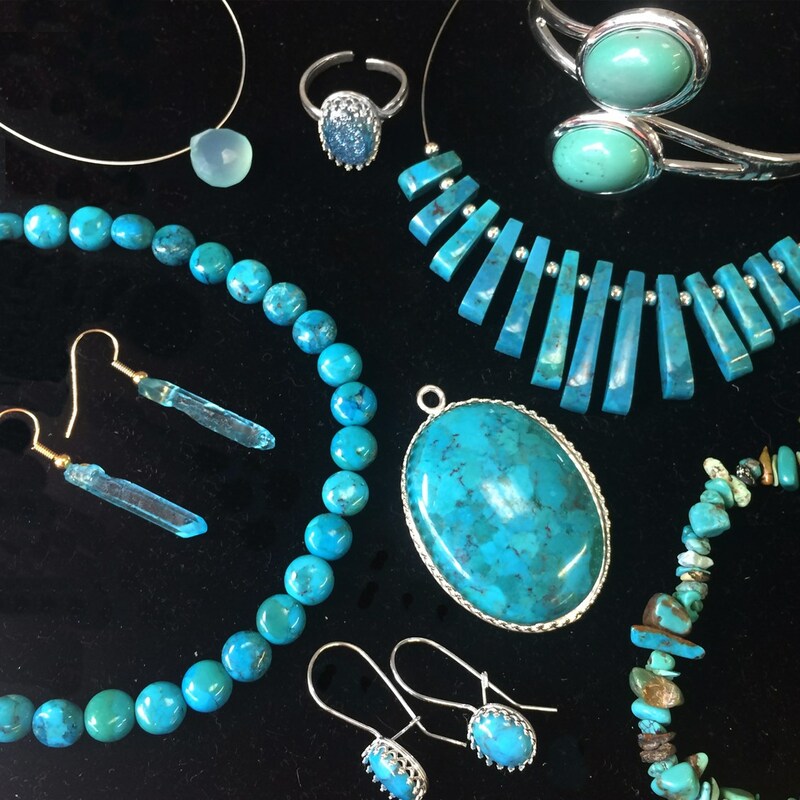 The Turquoise that is suitable to be used is so beautiful that it is simply mined, cut, polished and set into a piece of jewellery or carved into a fetish or sculpture. 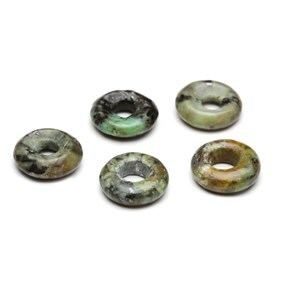 At Kernowcraft we stock a beautiful natural American turquoise, click here to see the range of 100% natural cabochons. For step by step instructions on how to make this look click here.